A man should not have faced two manslaughter charges for selling toxic slimming pills which killed a student, appeal lawyers said. 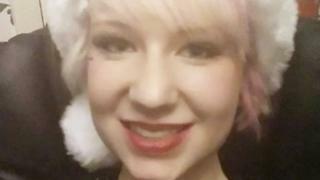 Eloise Parry, 21, from Shrewsbury, died after taking eight tablets containing dinitrophenol (DNP) which she bought online from Bernard Rebelo, 31. His representatives said his double conviction means others could face similar charges in future cases. A judgement on his appeal will be made at a later date. Rebelo, from Gosport, was jailed for seven years after being found guilty of two manslaughter charges and placing unsafe food on the market at Inner London Crown Court in June. At the Court of Appeal on Wednesday, Felicity Gerry QC said: "It is concerning that a defendant can face two such serious allegations in relation to the same death. "There is a real risk that prosecuting authorities will pursue such an approach in the future and Mr Rebelo now has two criminal convictions for manslaughter." She asked the court to quash both counts and not order a retrial. At Rebelo's trial, Judge Jeremy Donne had explained the charges were because the prosecution alleged he committed the offence in two ways - death resulting from his "unlawful and dangerous act", and death resulting from his "gross negligence"
Miss Parry, a Wrexham Glyndwr University student, had bulimia and borderline personality disorder. She died at Royal Shrewsbury Hospital in 2015, less than three months after she first started taking DNP. Although Rebelo had denied the charges, he admitted selling the pills to Miss Parry, but said there was a warning on his website.